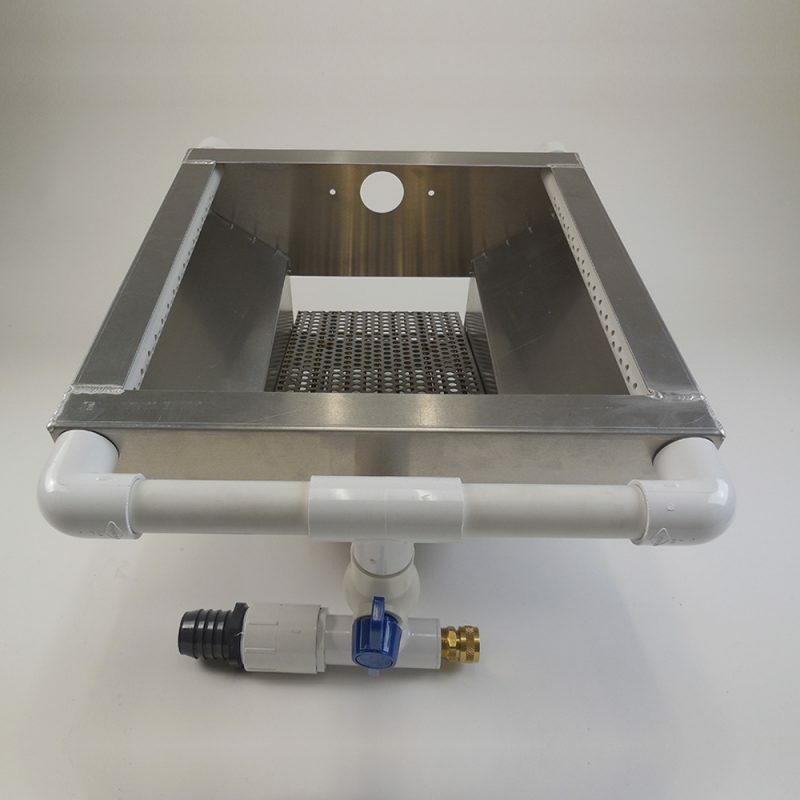 Convert your 10” wide Sluice Box to both a Highbanker / Dredge. 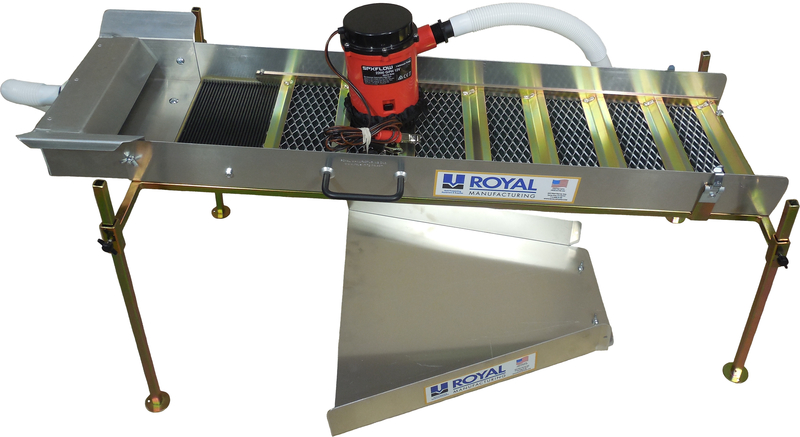 The top of Hopper is 17-1/2” x 17-1/2” with dual adjustable and removable spray bars. 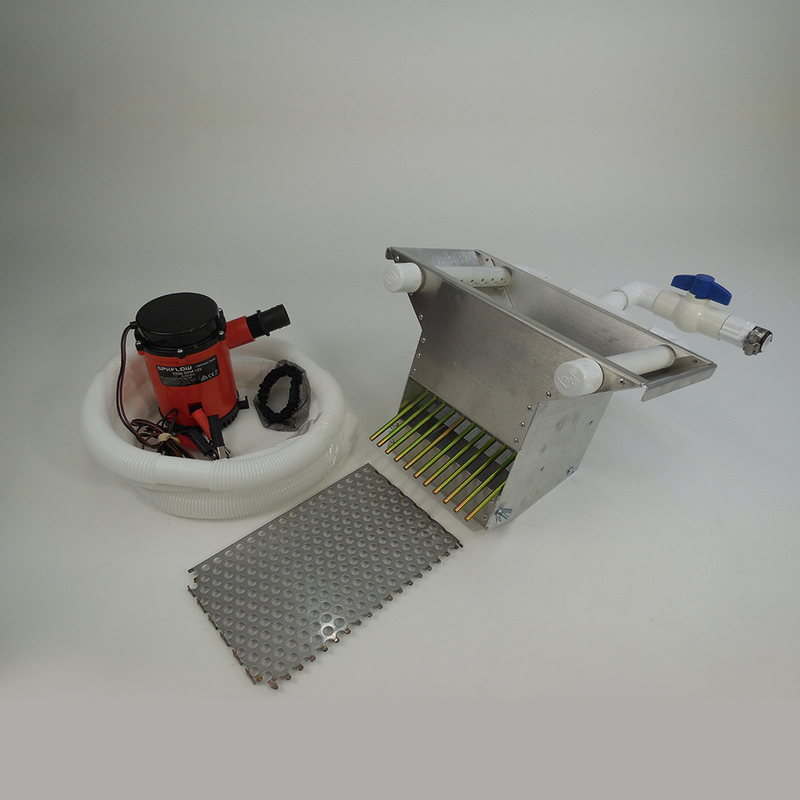 Comes ready to receive a 2” Dredge Adapter (sold separately, see below). 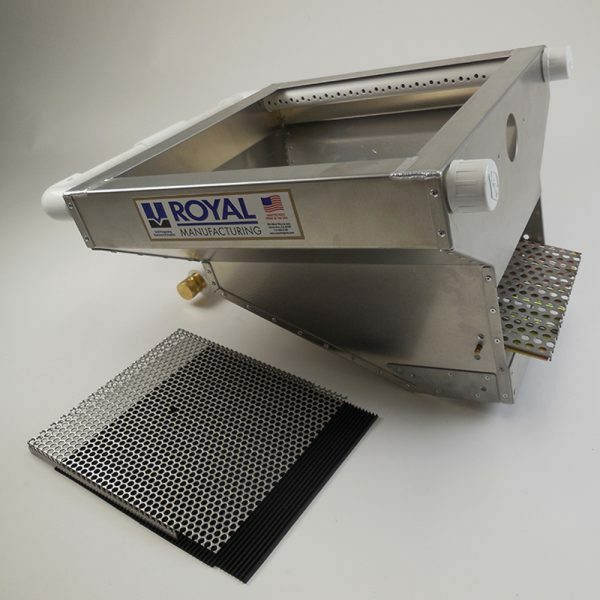 Includes adapter to attach Hopper to your 10” wide Sluice Box. 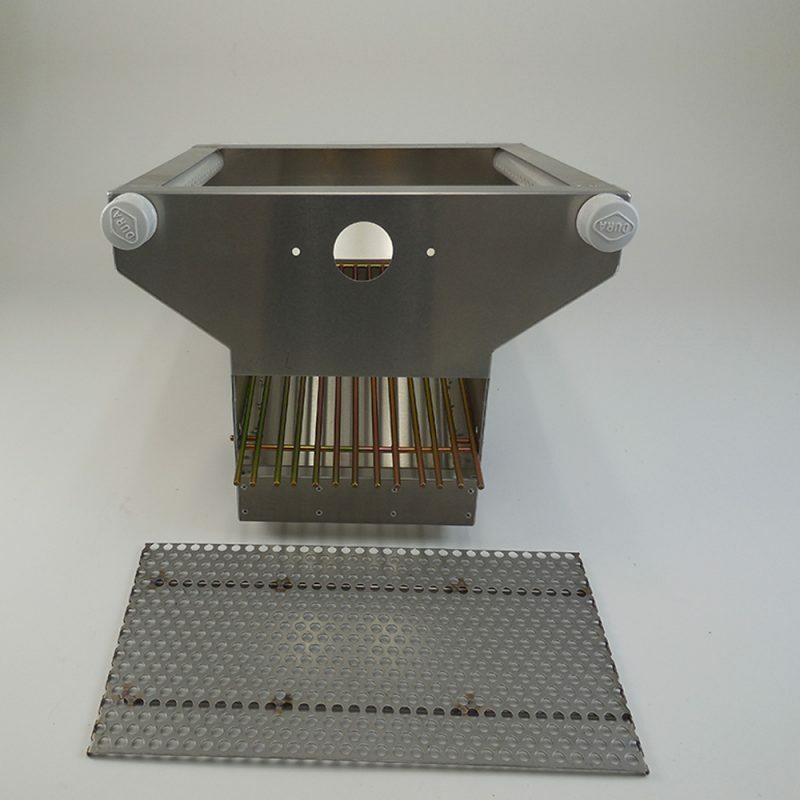 The water inlet is equipped with a 1-1/2” barbed fitting that is removable. Use the ball valve to adjust water supply, Zinc plated Steel Grizzly is removable and also adjusts to 3 dif-ferent angles, from clay to gravels. 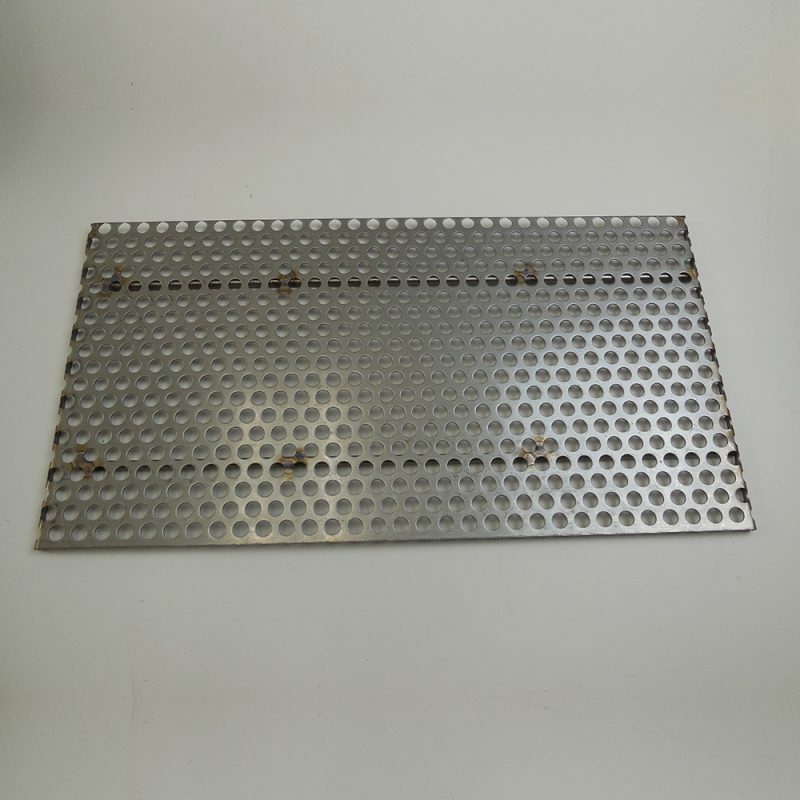 Included is a 10” x 10-3/4” Stainless Steel perforated plate that protects the 10” x 10-3/4 deep ribbed matting both removable. Total weight is 14 pounds. This machine accepts full size shovel loads. 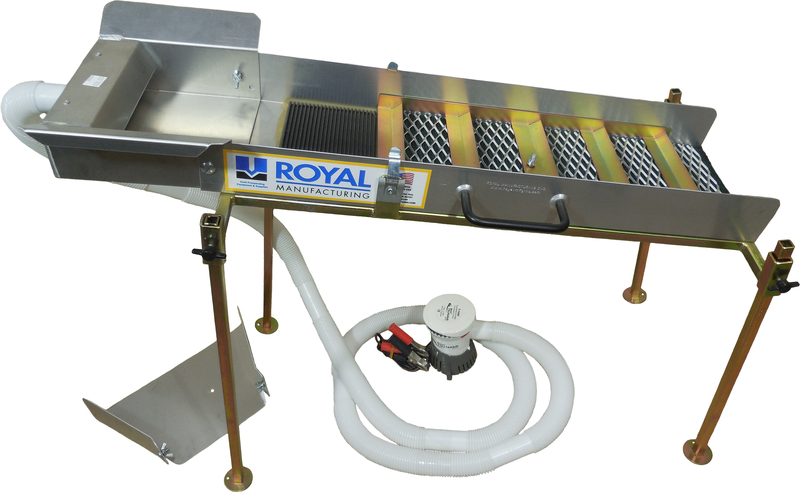 Works directly in any water source (creeks, ponds, rivers, etc.) or even from a reservoir container. With addition of your 30 gallon reservoir and tailing bucket (Not included), you can turn this Highbanker unit into a Recirculator! 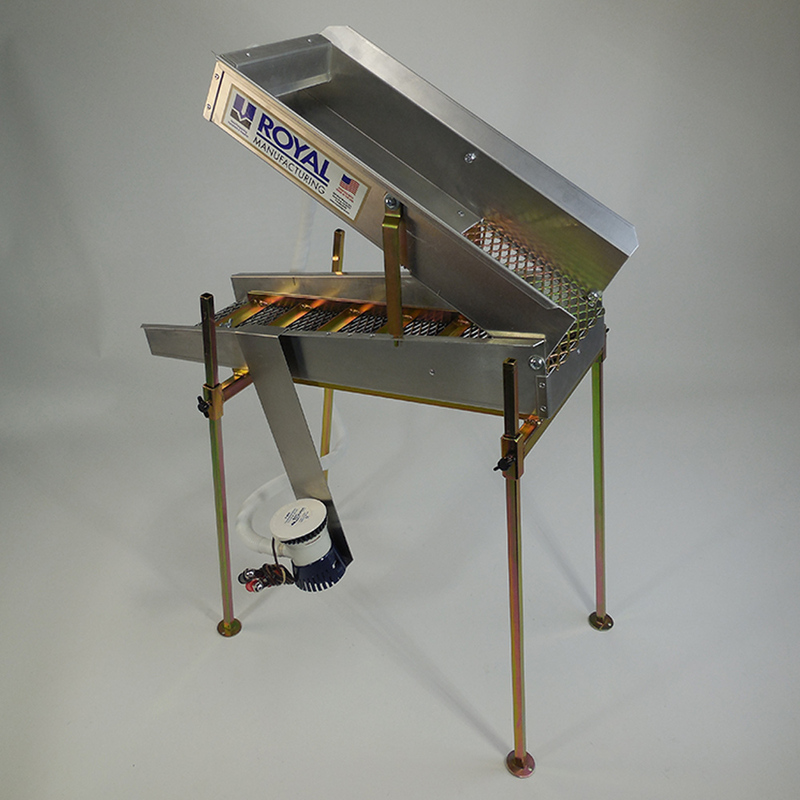 The 100% welds on stand makes it one very durable unit.